Humane Society International and The Humane Society of the United States’ Be Cruelty-Free campaign welcomes the announcement by China's Food & Drug Administration that from June 2014, China plans to remove its mandatory animal test requirements for domestically manufactured cosmetic products. 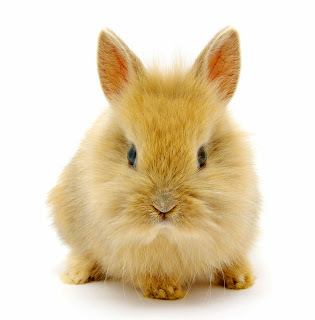 For the first time ever, Chinese companies producing "non-special use cosmetics" such as shampoo or perfume will have the option to substantiate product safety using existing safety data for raw ingredients, or European Union-validated non-animal tests instead of having to submit product samples to the government for testing on rabbits, mice and rats. HSI estimates that as many as 300,000 rabbits, mice and other animals may be subject to cosmetics chemical testing each year in China alone. The CFDA's announcement comes less than five months after the successful launch of HSI’s groundbreaking Be Cruelty-Free China campaign. Based in Beijing, HSI's team has been working diligently with Chinese policymakers and regulators to advance the acceptance of non-animal tests and accelerate a move away from animal testing. This culminated in the first-ever review of China's cosmetics law in 20 years, with Be Cruelty-Free China submitting a detailed technical proposal outlining cosmetics safety testing without animals. Troy Seidle, HSI's Be Cruelty-Free director, said: “This news from China marks a major milestone in our campaign and could constitute a significant watershed moment in our global effort to end cosmetics animal testing worldwide. HSI's team has prioritised efforts to transform the future for animals in laboratories in China. This development is only the beginning of what we hope to be a paradigm shift towards 21st-century science without animals. We will meet with Beijing officials in the coming days to look closely at the detail of this cosmetics announcement, but it looks like there could at last be a bright future for cruelty-free companies in China and hope on the horizon for an end to cosmetics cruelty.” Initially the new rules will only apply to cosmetics manufactured in China. However, CFDA has stated that once the new system has been established, it may be expanded to include imported products and certain “special use” cosmetics as well. This would be a major step towards removing trade barriers between China and the EU, enabling cruelty-free companies worldwide to sell their products on the Chinese mainland without compromising their 'no animal testing' policies. Be Cruelty-Free will continue to work with Chinese officials toward a complete ban on cosmetics animal testing, and in the meantime will work with its cruelty-free corporate partners to assess the new system once implemented next year. HSI, along with The HSUS and The Human Toxicology Project consortium, recently awarded an $80,000 grant to the Institute for In Vitro Sciences to provide hands-on training in non-animal tests to China’s government regulators and scientists. Be Cruelty-Free China is part of the largest campaign in the world to end cosmetics animal testing. Globally, Humane Society International and its Be Cruelty-Free partners are leading the charge to end cosmetics cruelty in Australia, Brazil, China, Korea, New Zealand, Russia and beyond. Be Cruelty-Free USA is spearheaded by The HSUS and Humane Society Legislative Fund.